1. Congressman Paul Ryan came across as knowledgeable [on all topics], likable, and vice-presidential. 2. Vice president Joe Biden came across as a smirking, disrespectful, condescending, unlikeable jerk. Anyone who saw that debate could not like the conduct of the vice president. I agree with Chris Wallace on the Fox News Channel who just said: "Out of the many debates I have seen in my lifetime, no one has come even close to Joe Biden in being so disrespectful to his opponent. Charles Krauthammer also agreed with Chris Wallace on how disrespectful Biden was. Joe Biden kept interrupting Paul Ryan, giggling at some of his answers and had a continuous smirk reminiscent of Al Gore's "sighing" debate vs George W Bush. I thought the Al Gore sighs would never be forgotten in debate lore, but Al Gore can move over. The Joe Biden smirk has replaced him. Paul Ryan on the other hand was respectful, dignified, showed skillful knowledge not just on economics and domestic policy, but surprising knowledge also on foreign policy. There was one zinger that came out of this debate. The vice president brought up Mitt Romney's 47% remark, implying that Romney doesn't care about the average person. 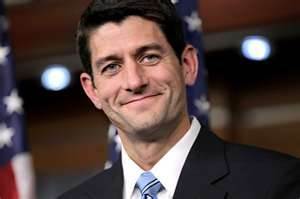 Paul Ryan came back and gave a great anecdote of Mitt Romney's compassion and giving in time and money to someone in need and then said: "with regards to the 47% remark, I think the vice president very well knows that sometimes the words don't come out of your mouth the right way." That brought a big laugh from the entire audience. Congressman Ryan gave a great closing statement giving respect to the moderator and the vice president [even though he showed no respect to him] and talked about how this is a big election with big choices about the future of this country. This will determine how the American people want to move this country forward for themselves and their children. This is a little like the Kennedy/Nixon debates in that the people who heard the debate on the radio thought that Nixon had won, but overwhelmingly the people that saw the debate on TV thought that Kennedy won. There is no doubt that for the undecided voter who watched this on TV, Paul Ryan was the winner. There was nothing funny about the Libya disaster or the unemployment numbers. His rudeness was unprecedented and an embarrassment to our nation. I can't believe our great country has such a disrespectful VP. We need Romney/Ryan more than ever! Oh, Michael, Biden was horrible. I can't believe what I saw. I first heard the debate without the visual, and you could feel the rudeness and arrogance, hear the creepy laughter...it was obnoxious. And the blatant lying on Libya. Unbelievable. It showed one thing to me. Paul Ryan, although young has Good Character. In fact the debate can be described in Proverbs 29:9 When a wise man has a controversy with a foolish man, the foolish man either rages or laughs and there is no rest. Biden was the fool. Nuf said. Obama must go. I agree Joel. What an embarrassment our country has such a disrespectful Vice President. I pray for a change in November. That was worst of all Kim. Biden lying and making a bafoon of himself on Libya with four Americans brutally killed. That was disgraceful. Thanks Krissy. Your clear concise comments always add so much to this post. Thank you!